2017 was The Year of Modern Drummer’s Digital Magazine. 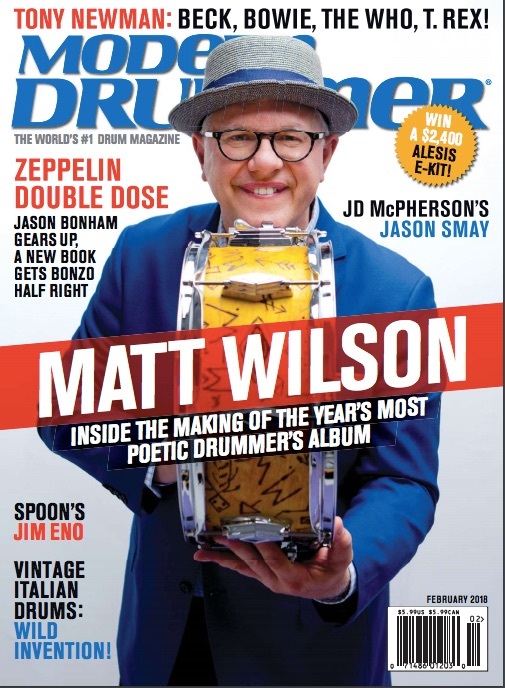 Originally a print magazine with a decent news blog and articles hidden in PDFs, Modern Drummer expanded to include a true, issue-based online publication. ZEEN101’s Anvil suite of products played a significant role in the process. Over the course of the last year, Modern Drummer has worked diligently to make the most of what IssueM, Leaky Paywall, and UniPress have to offer. In the first two weeks alone, digital subscriptions went from 0 to 900. Now the long-term results are in and the results are good. Working together, Modern Drummer and ZEEN101 vastly improved the accessibility and appeal of their digital publication. Within that growth is included a 65% growth in organic traffic. In other words, people can search and find Modern Drummer’s rich content, thanks to their adoption of Leaky Paywall. Again, utilizing the share-ability that Leaky Paywall allows, Modern Drummer has made great strides in their social media presence. In addition to using Facebook as a mini-issue, they regularly and diligently share content over Facebook, Twitter, and Instagram. Teasers point back to the main site and Leaky Paywall allows visitors to read an article in its entirety before being prompted to subscribe. They can also share and re-share the content they read to thousands of others in social media. As a result, social media traffic has grown 118% since January 2017 and referral traffic back to the site has grown 193%. Modern Drummer has also accumulated a large list of email subscribers. Topical articles are curated, synopsized, and sent forth three times a month. The emails are pure, simple, awesome content with no ads or overt promotions. Consequently, Modern Drummer has enjoyed a growth of 189% in email traffic in the last year. Modern Drummer has never been a wallflower. Forty years of print publication have built it as a strong presence in its sphere. But its performance over the last year has given it as solid and undeniable an identity on the web as in the newsstand. Direct traffic has grown 109% – people are online specifically to browse Modern Drummer and they know where to go. 2017 was a year of tremendous growth for Modern Drummer’s online publication. We can’t wait to see what 2018 will bring. Curious about what 2018 (and ZEEN101) can do for your digital publication? Let’s find out.